carpets? 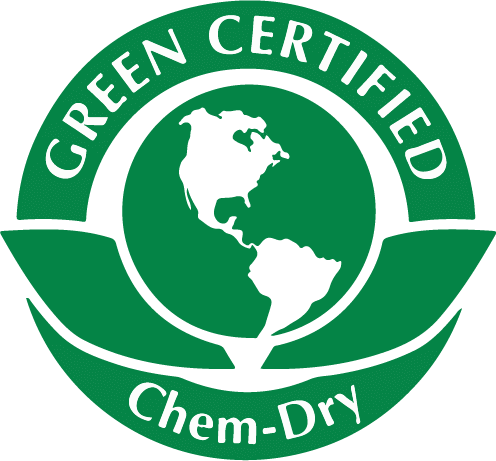 At Complete Chem-Dry of Lake Orion, we believe in sustainability and have worked toward offering a Green solution to carpet cleaning for the past two decades. We are proud to tote the Chem-Dry name because we firmly believe in the dedication to green cleaning that the Chem-Dry name has come to be synonymous with. Chem-Dry’s flagship cleaning solution, The Natural®, is on the FDA’s G.R.A.S. list; however, our dedication to Green doesn’t stop there. We use one-fifth of the amount of water that typical carpet cleaners use, ensuring a Greener home. Compare this to other companies, which not only require excessive amounts of water, but also uses harsh chemicals. Complete Chem-Dry of Lake Orion is continuously working toward advancements in Green carpet cleaning. Our commitment to sustainability is part of our mission to provide all of Rochester, Lake Orion, Oakland Twp, Rochester Hills, Oxford, Troy and the entire area with a cleaner and more healthy living environment. So why does Complete Chem-Dry of Lake Orion care so much about being Green? Well, simply put: Less water in your carpets means more in our nation’s reservoirs. Non-toxic means Chem-Dry is safe for kids and pets and makes Chem-Dry the perfect (often, the only) solution for many people with allergies. We live here in Rochester too and our mission is to help create healthier homes for a better community.